A birth of a brand new human being is a unique experience. While I am a father of a 2-year old myself, the memories of my daughter’s birth and first months are still vibrant and fresh. All the sleepless nights, dozens of open Chrome tabs about nappies, sleeping schedules, strollers, car seats, hiccups, first teeth etc etc. Being a parent is extremely rewarding, but also resource-intensive. It’s like taking one of the most time and energy consuming projects in your life. Your 9-to-5 job is a vacation compared to this. Really. And in this survival race, the end justifies the means. 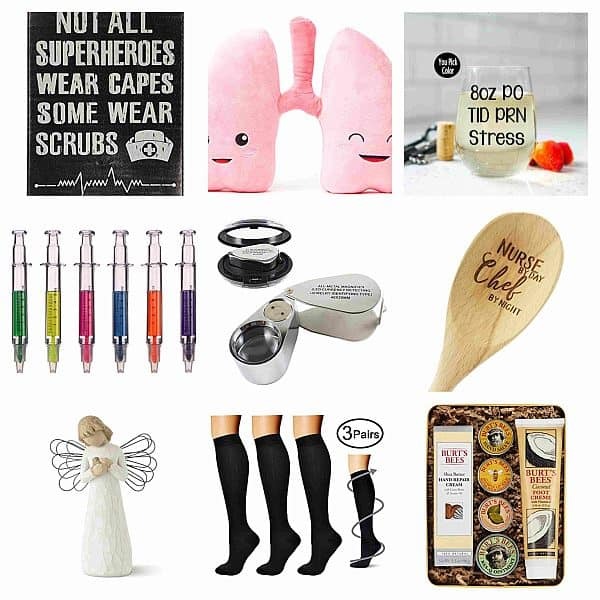 So if a person in your life is expecting a baby, you’d better help her prepare for this journey with some cool stuff we handpicked in this article. Ok, let’s see what we’ve got! Laughing and crying are good stress relievers, and this book will help you to do both. 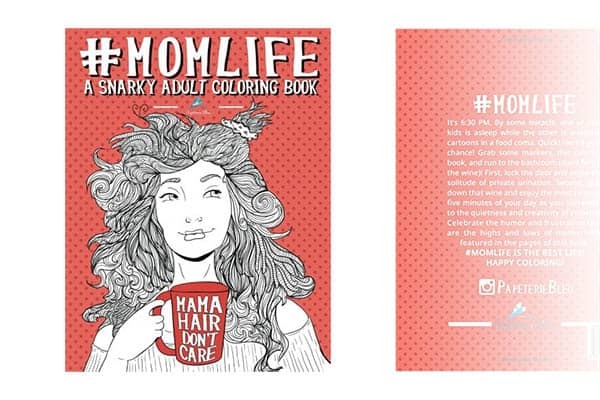 Packed with pictures representing a new mom’s life – it will be great even for seasoned moms. The pages are one sided and are good for any medium. The baby is not the only person who deserves their Firsts. 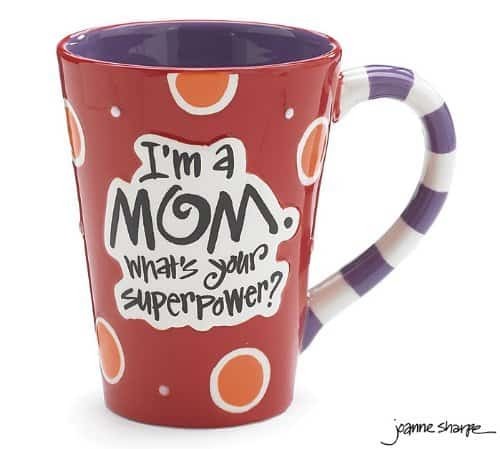 Mommies (and Daddies) have them as well! This amazing set of wine bottles will help the Mom-to-be to celebrate and document the ups and downs of motherhood, and finally relax a little bit. 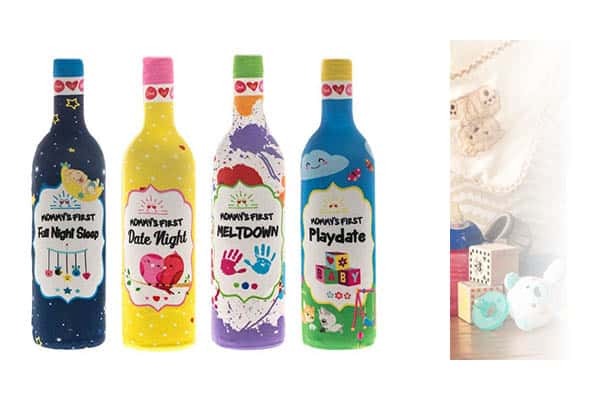 But since everything is bought for the sole purpose of posting in on Instagram, these bottles have amazing unique design – for other Mommies and Daddies to feel just a bit inferior. He who owns the information, owns the world – Winston Churchill used to say. 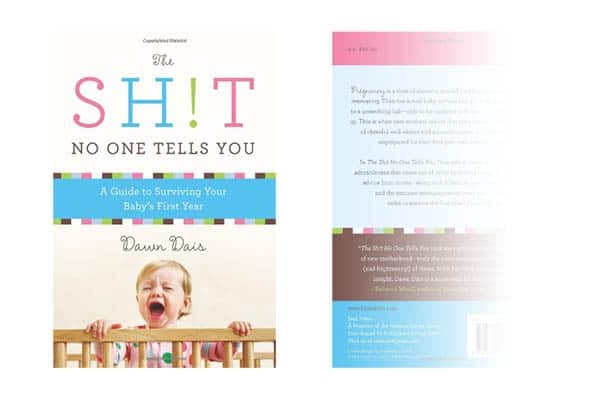 Both hilarious and informative, this book will be a great read for the new mom in your life. 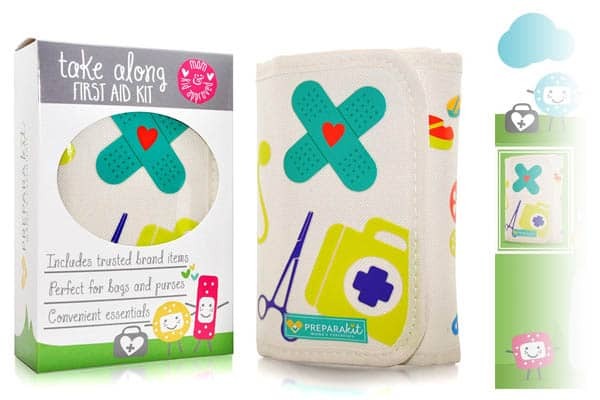 A house with a kid is a warzone – so help the new mom get fully equipped! Not all milestones are good ones. Some of them are not that pleasant, but they happen to every parent. 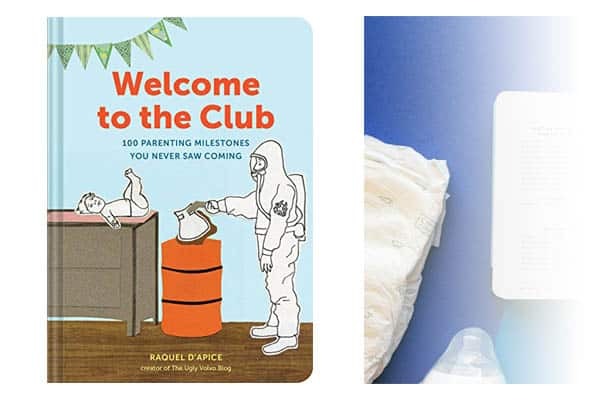 This book makes all the misfortunes so much easier to “process” with humor and sympathy, and most importantly, it gives the new mom a feeling that’s she is so not alone! 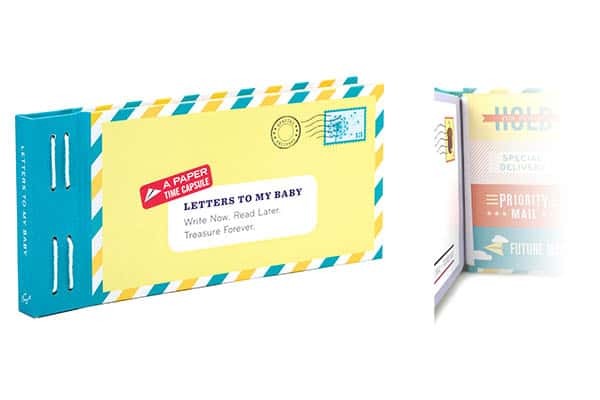 There are so much things a new mom would want to say to her child – and the best way to do this is writing it down and sealing it for much, much later. With years, this letter will become a real treasure – could there be a better gift for a son or a daughter? 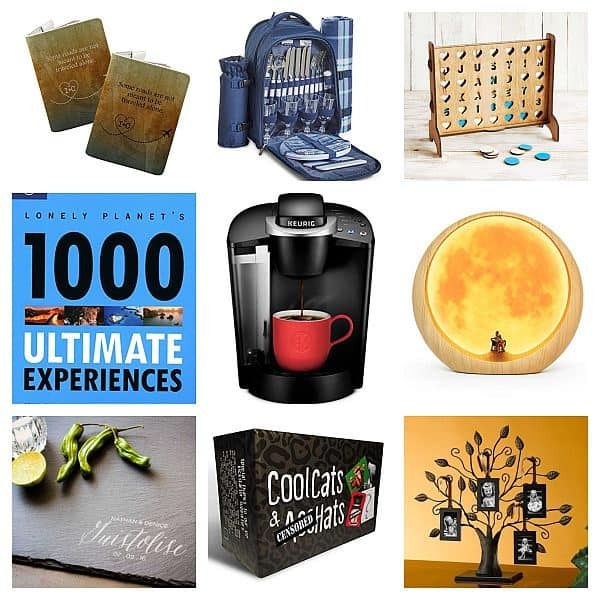 By the way, it is Oprah’s Favorite Things Pick for 2015! 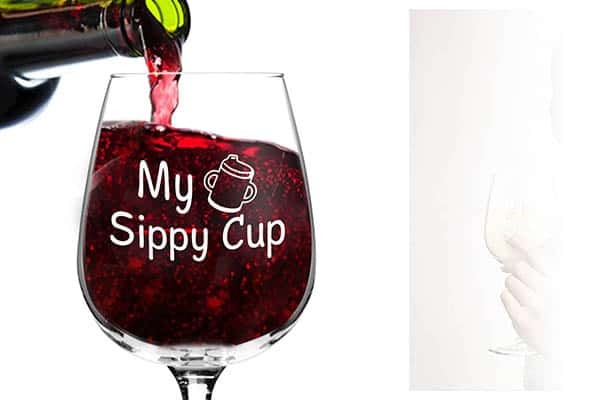 A great wine glass to bring even more joy into mom’s after-the-kids-are-asleep sip of wine! This large mug is not only funny, it is really stylish and feels solid – also the dots and the text are raised, not just printed – giving a pleasant boost to all senses! Socks are not a stupid present – at least these ones! 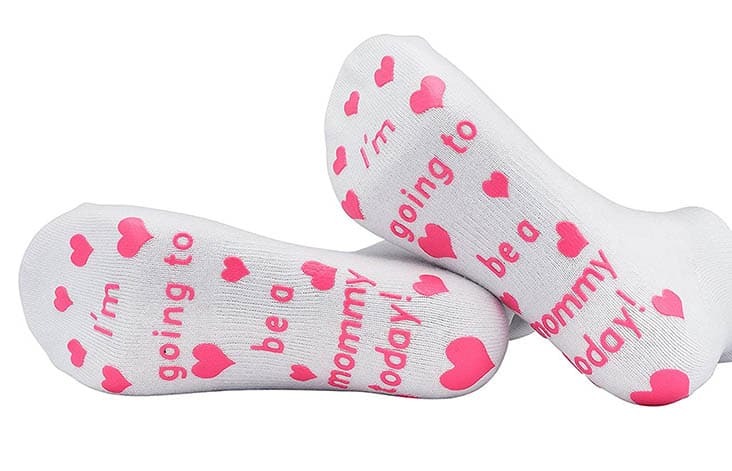 Warm, non-slip and funny, what more a good pair of socks can be? 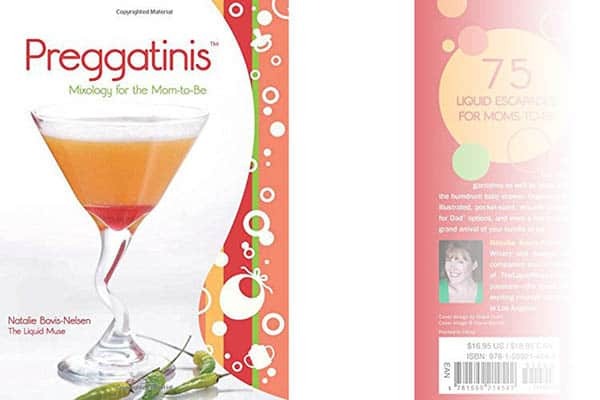 Having a cocktail party, but one of your friends is pregnant? No big deal, with the alcohol-free cocktails designed by master mixologist Natalie Bovis-Nelsen, aka “The Liquid Muse”, everyone’s invited! 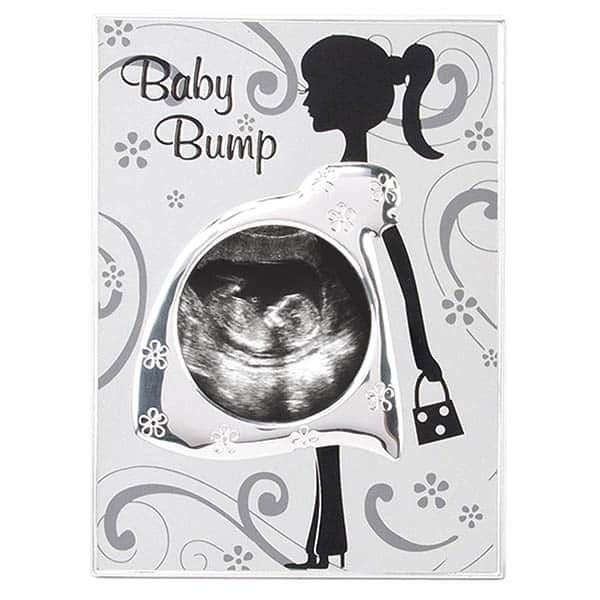 Most moms don’t realize they need a frame for a sonogram… unless they see it! This one is the best we’ve found. 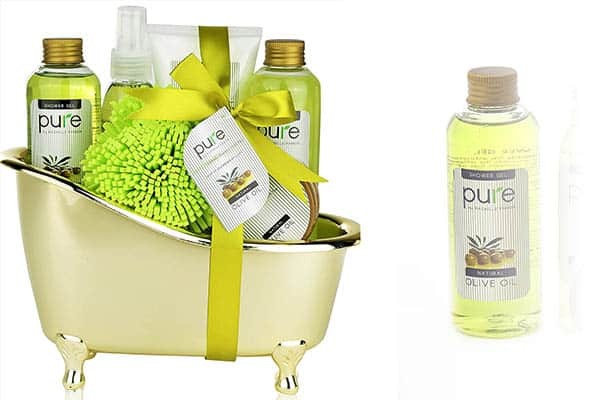 Every mom needs her time off, and the best time off is spent in a Spa, or in case with most new mommies, a home Spa. All the ingredients are 100% natural, with no animal testing. And the bathtub container? Even I (male and far from being pregnant) loved it! 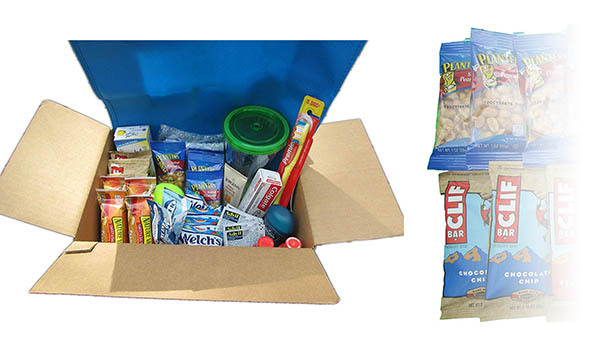 This gift basket is wrapped and ready to deliver, so no need to worry about packaging. 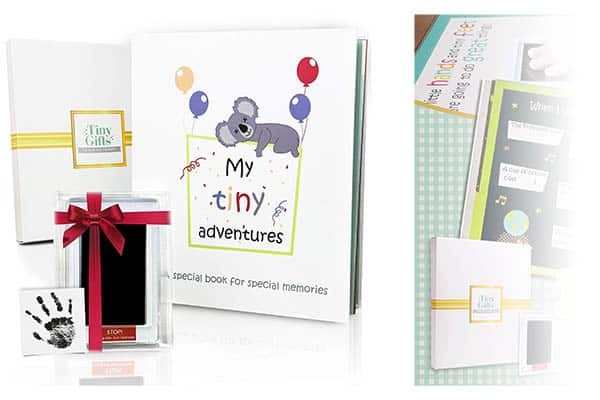 This is one of the best memory books we’ve found! Parents just have to lay 6×4 inch photos on the pages, the rest was done by the amazing team at Tiny Gifts. Kids grow way too fast, so having a clay print of those tiny hands and feet will be a delight even for the kids themselves when they grow up. This set includes a heavy-duty frame and 6 clay molds, which is enough even if one messes something up the first time. 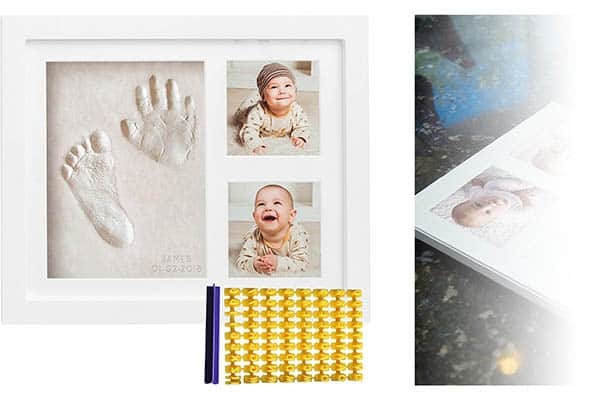 Sonograms are underrated works of art – and without doubt, every parent should have them hanging in frames! 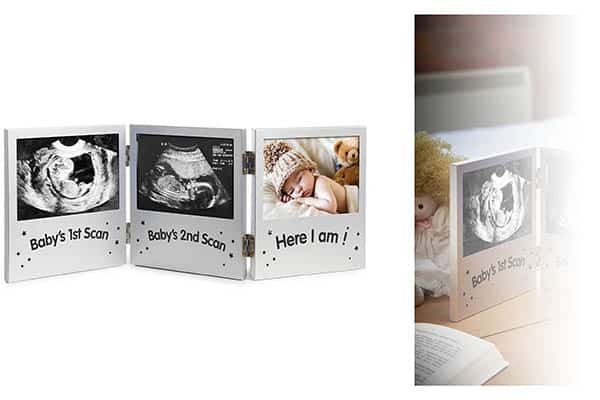 This beautiful frame is made for 2 sonograms and baby’s first photo – a perfect way to document the whole pregnancy adventure! Dads are humans too, you know. 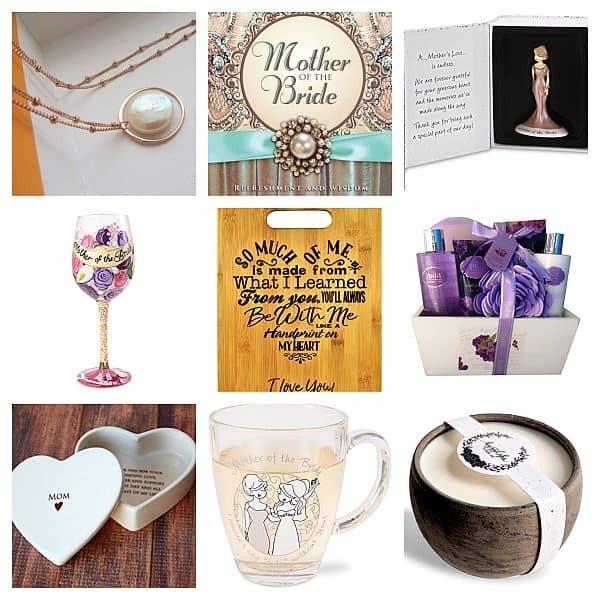 And when the big day comes, this basket will help them survive when everything is all about a new mother, and nothing is about them. Yes, it’s the way it’s got to be, but everybody needs some food and sleep at times! 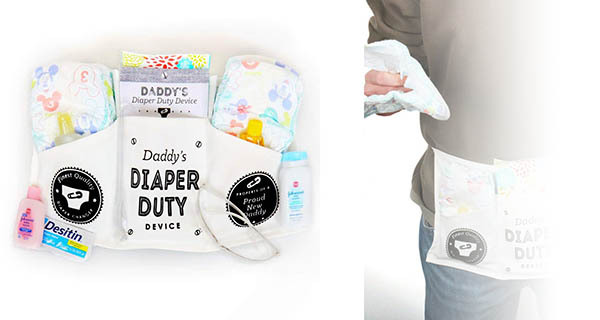 As funny as it looks, this “device” includes a lot of really good baby care products – Desitin cream, Huggies diapers, Johnson’s baby lotion and baby shampoo. 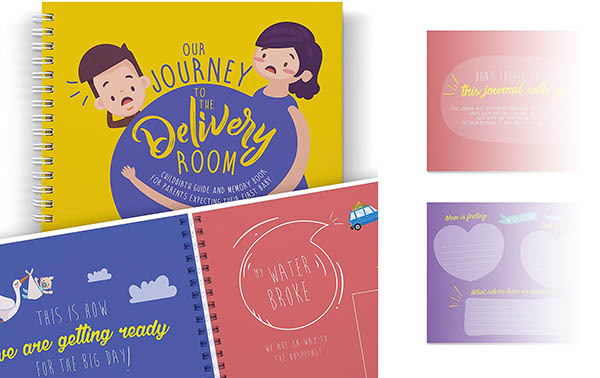 Funny and stressful, a journey to the delivery room is an experience not to forget. This book will help new mom and dad to keep the memory fresh! Pregnancy is not all serenity and peaceful meditation. Well, it’s almost none of it. 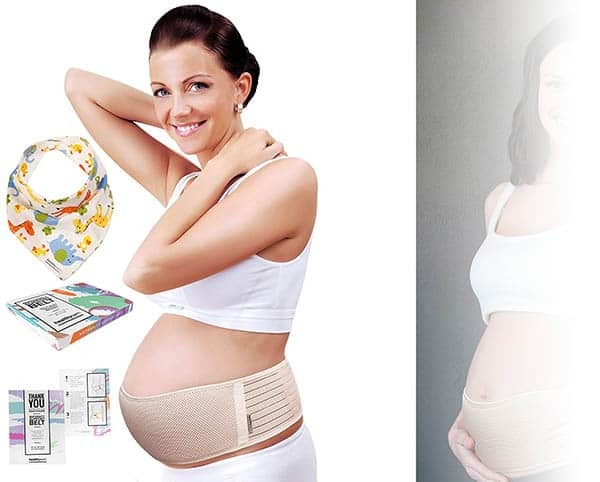 This pregnancy belt will help relieve pain caused by… different things you probably don’t really want to know right now. But for a mother to be, it is a great aid. Moms-to-be need more pillows. Just give ’em what they need! 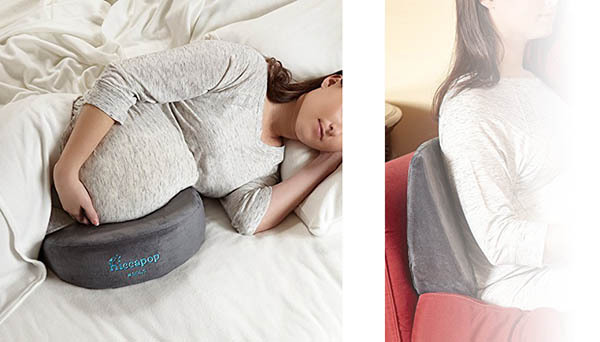 This wedge pillow is the ideal solution for pregnancy discomfort, with soft and firm sides to suit moms during all 3 trimesters. Ok, let’s sum it all up! With just these 5 things in mind, first months of parenting will be much more joyful and rewarding! George is a gift-loving co-founder of Giftpundits.com, a commercial photographer, and a jet fighter pilot (just kidding), but his biggest project is being a good dad for his daughter.